Our final morning in Jasper, we woke up, packed up our site, and made a quick detour back into town for gas and coffee. 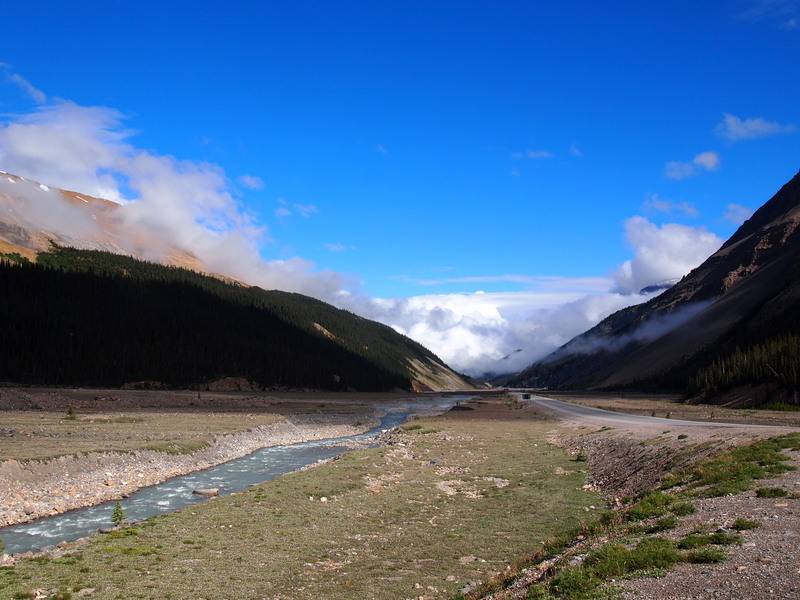 The clouds still clung to the mountains, but we could see patches of blue every now and then as we drove toward the Columbia Icefield. It seemed as though it would be a nice day, and I was cautiously optimistic. 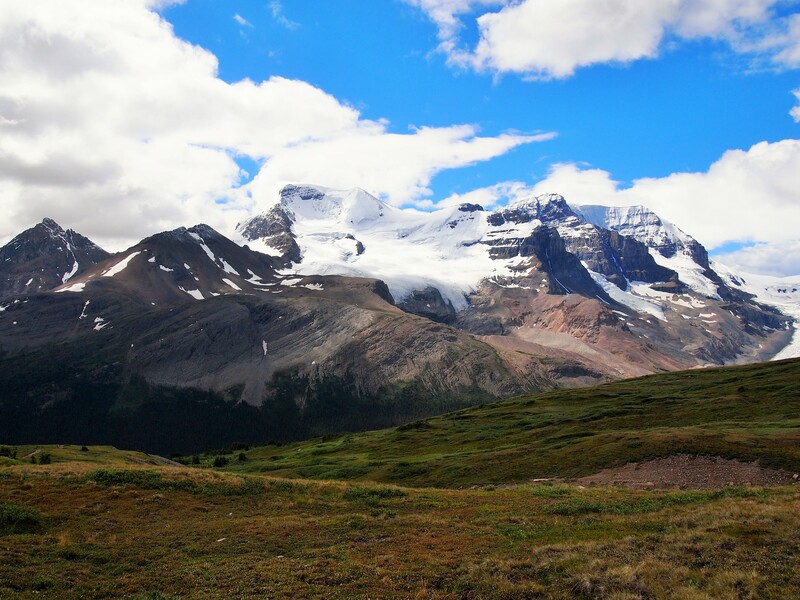 When we arrived at the Icefield, we emerged from the clouds to a beautifully sunny scene. I was ecstatic! I pulled off the parkway into a pullout, so we could get out and take it all in. 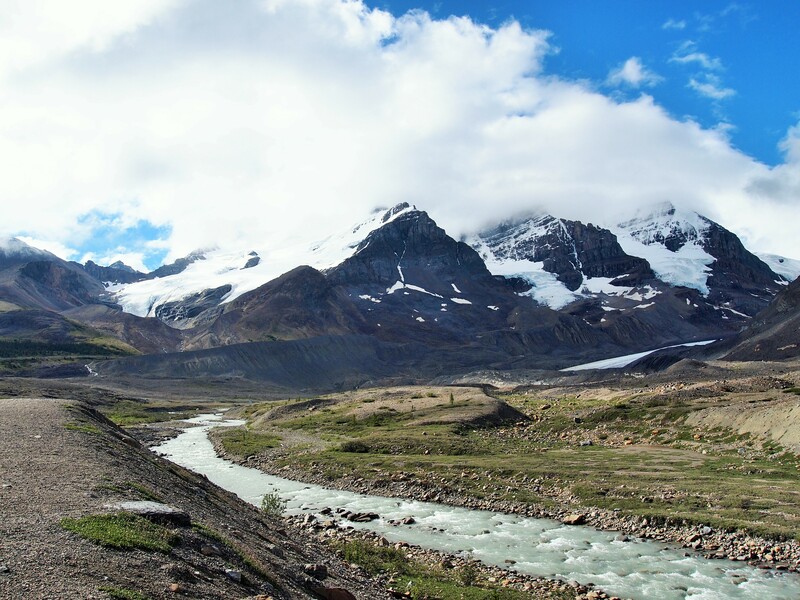 I had one hike on my agenda, but spur-of-the-moment I decided we should do Toe of the Glacier, a path which leads you to the foot (or toe) of the Athabasca Glacier. 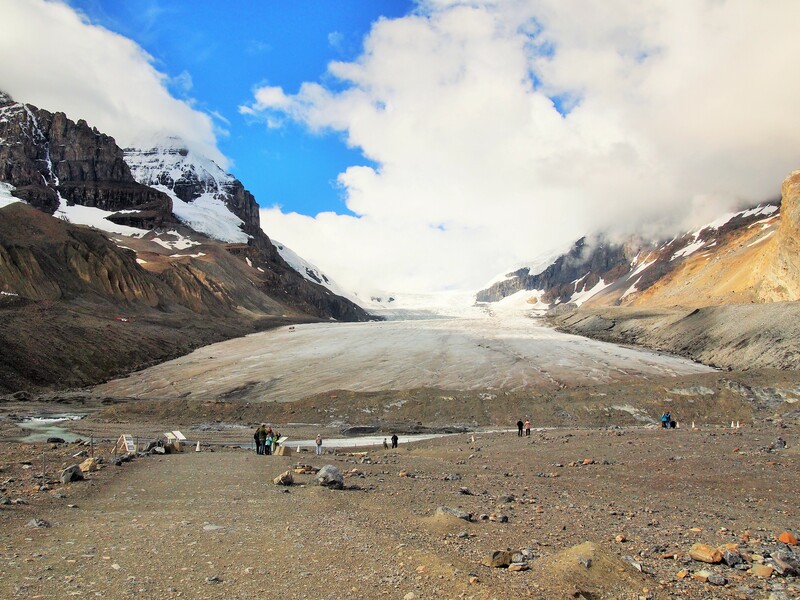 We weren’t going to do the Icefield Explorer tour – a $99 CAD tour to the upper reaches of the glacier which allows you to walk around on the glacier’s surface – and the hike I wanted to do would give us a bird’s eye view of the Icefield, so I thought it would be cool to see the glacier from a closer perspective. 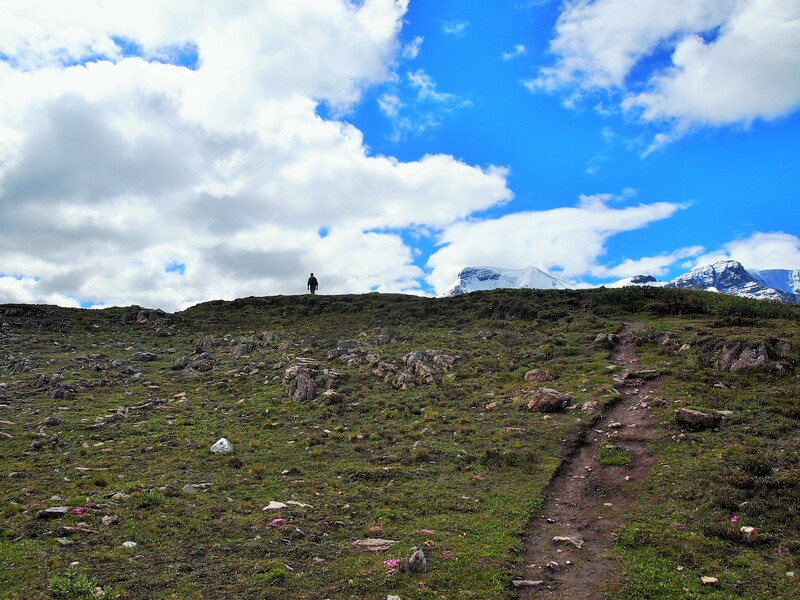 It was around 10am and the path was relatively crowd-free which surprised me. Either not many people do the path or we had managed to get out earlier. At various points along the path from the parking area, there were markers indicating how far the glacier previously stretched. 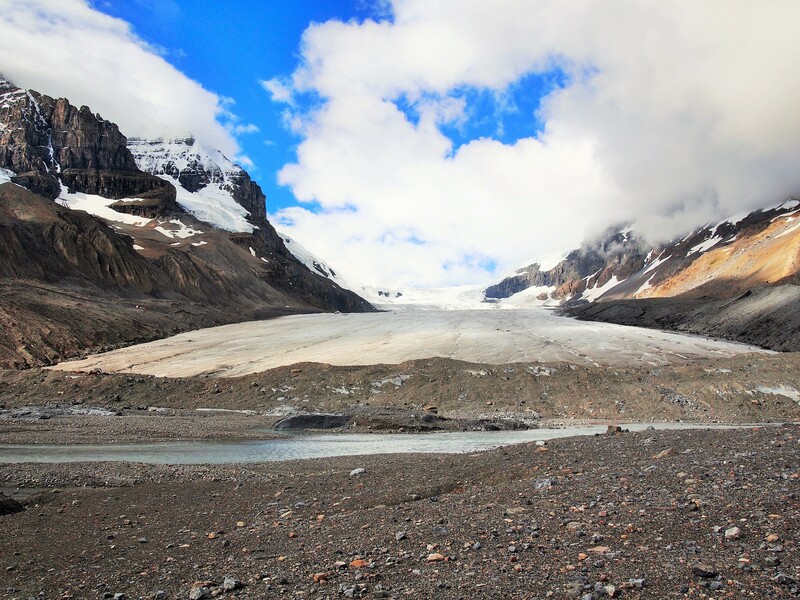 There were also numerous warnings about the unassuming danger of the glacier with scary tales of children and adults who’ve fallen into crevasses and died from hypothermia. 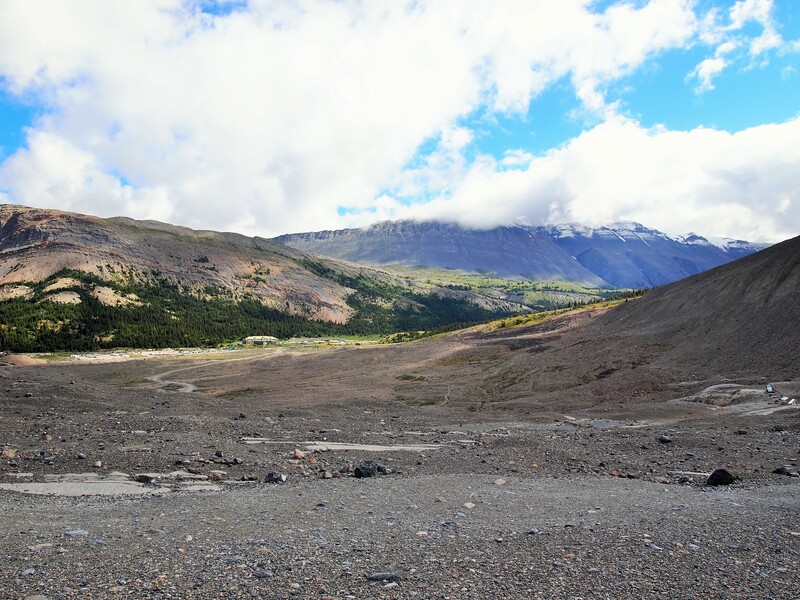 Toe of the Glacier was a worthwhile detour, and I’m glad we did it. 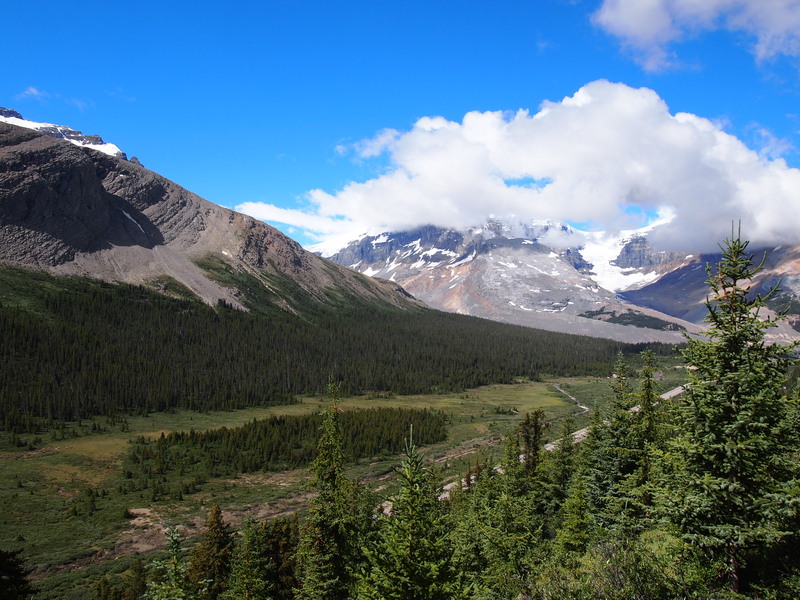 We left the glacier and drove a short distance past the Icefield Center to the trailhead for Wilcox Pass. 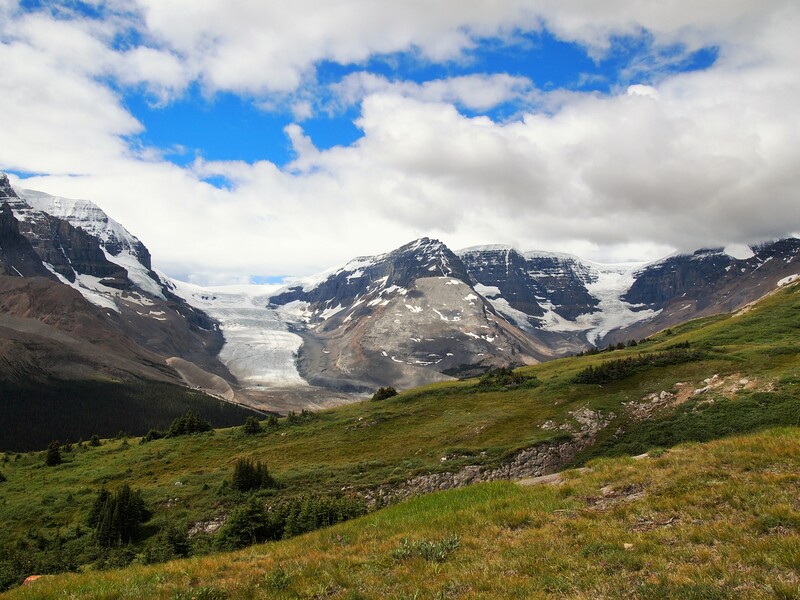 120 years ago, when the Athabasca Glacier still covered the valley floor, outfitters used Wilcox Pass to bypass it. 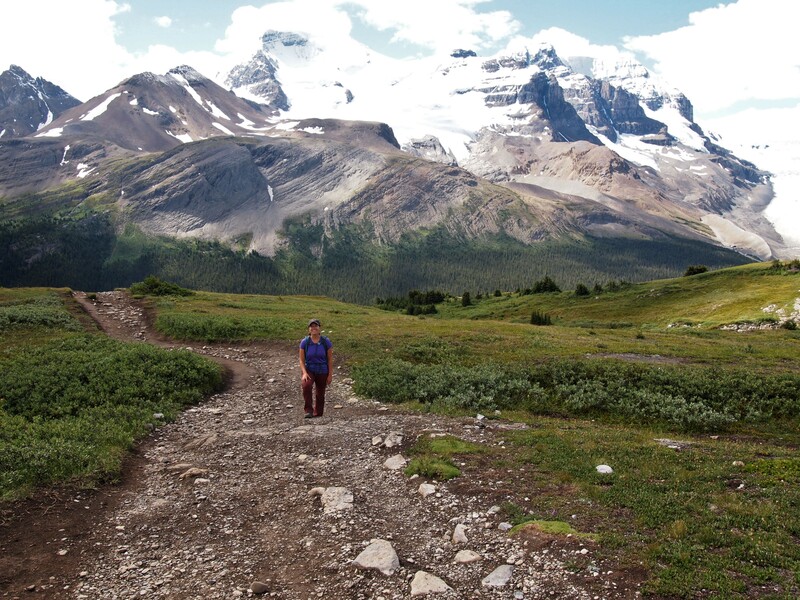 Now, hikers use this trail for SPECTACULAR views of the valley and the Athabasca Glacier. It can be done as an out-and-back or point-to-point provided you have a ride at the other end. 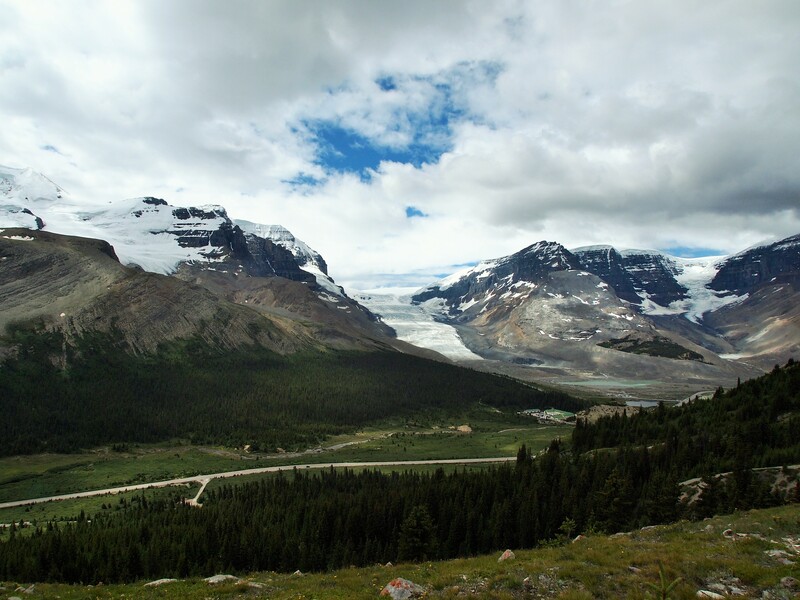 We went 1.7 miles then climbed up a side social trail to a nice rise overlooking the Icefield. It was a gorgeous morning, and I couldn’t get over how stunning our views were in contrast with the past two days. We descended the pass as more and more people were heading up. 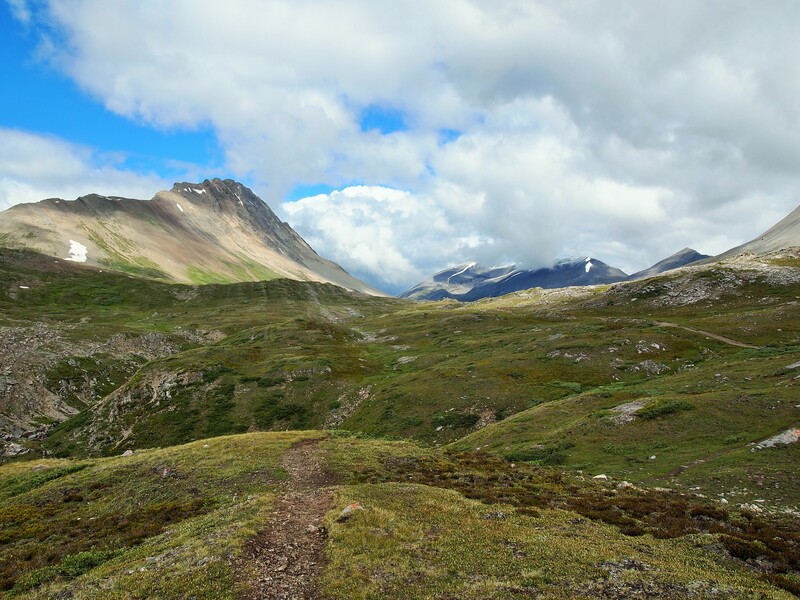 It’s always nice to feel like you’ve beaten the rush. 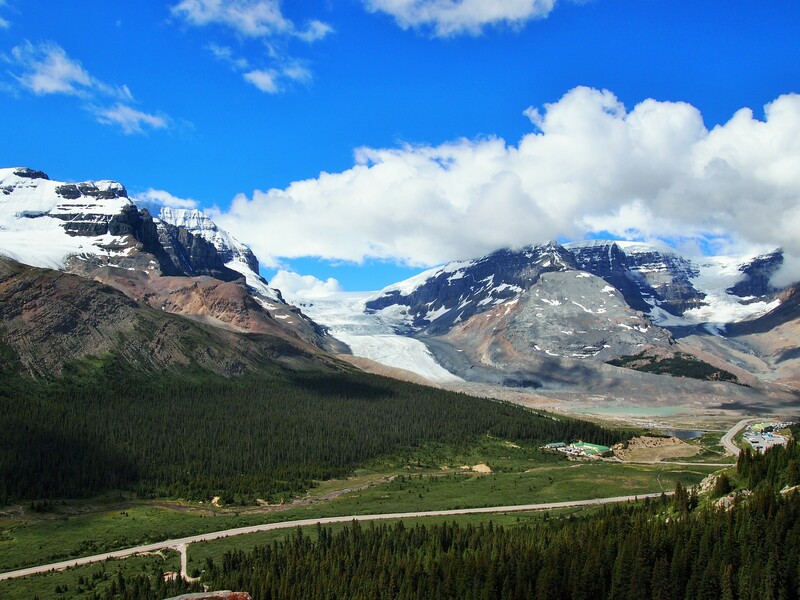 We climbed in the car and continued our journey toward our evening destination of Lake Louise. 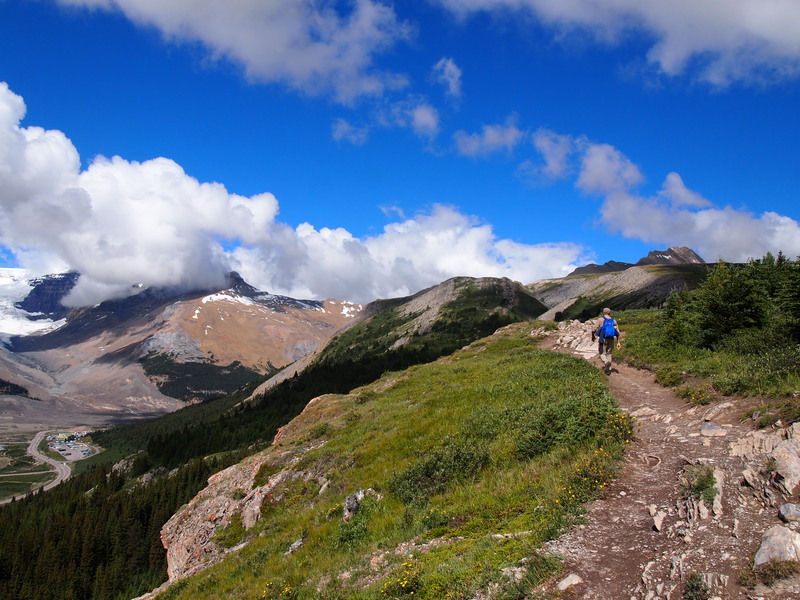 Shortly after leaving the trailhead we crossed Sunwapta Pass back into Banff National Park.